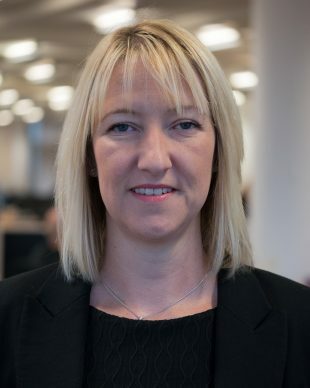 Hi, I'm Cheryl Stevens, Deputy Director, Digital Design at the Department for Work and Pensions (DWP). I’ve been a keen participant in all the Transforming Together events so far because in DWP, we’ve already been working closely with other government departments on a number of projects. Getting the chance to meet with the cross-government community to talk about the work we’re doing and can do together is invaluable. So it was no surprise that when I arrived at The Royal Society for the Arts (RSA) in London for the fourth Transforming Together event on October 19th, I was immediately greeted by the voices of an enthusiastic community sharing ideas and talking about what they’ve been up to, achieved or are in the middle of. 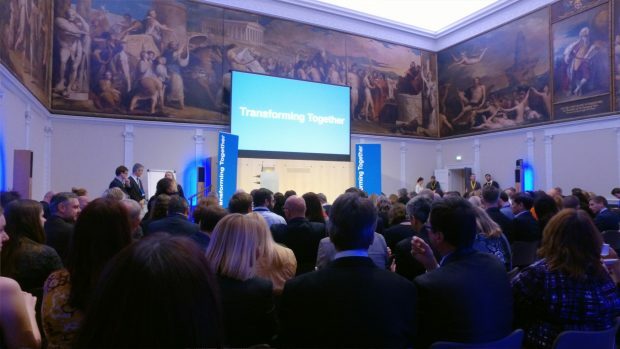 Hosted by Government Digital Services (GDS), the event itself was as useful as ever. The keynote speakers always give real, honest accounts of how they are doing in their department or work area – warts and all. It’s that honesty that makes it OK to say that change is easy; transformation is not so easy. The breakout sessions aren’t about navel gazing – they are always about working out loud, sharing ideas, experience and getting to know the people around you for future contact. I’m always impressed that participants in the sessions have a ‘glass half-full’ attitude; it’s about moving forward and removing any blockers rather than feeling sorry for ourselves and I really like that (I’m not a fan of whining). A word to the wise though, don’t get caught with the pen nearest the board when its feedback time, I clearly didn’t move fast enough – twice! I think in DWP we are getting pretty good at collaborating with others, and it’s useful to catch up with folk that we are already working with at Transforming Together. 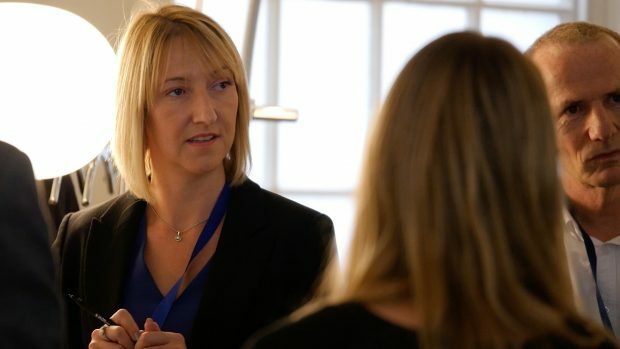 Examples of this include the sharing of information and artefacts with the team from the Scottish Government, using the DWP Digital Academy to build digital capability with colleagues across government and working with HMRC on projects in our Retirement Provision space. Seeing the difference that coming together, sharing and collaborating has made for real customers, all day every day is just brilliant. We are also about to embark on some more work with the NHS and I’m certain that will feature at an event in the near future so that we can share what we are doing and get input from a community with that shared goal of transforming services. I was at the very first Transforming Together and the community is gaining momentum – the fact there were so many new faces at this event shows it’s growing not diminishing. But as a community we need to use that ‘power of the collective’ to transform services for customers. We need to ‘shamelessly exploit others’ experience’ as Cat Macaulay from the Scottish Government so rightly put it. I joined the Civil Service as a 19-year-old looking to make a difference to people that really needed us to be the best that we can be when they need us the most. I personally feel like Transforming Together is an important piece in that tapestry and that’s why I will keep going back for more and I encourage others to do the same. As my Director General frequently says, ‘Together we can do amazing things’.